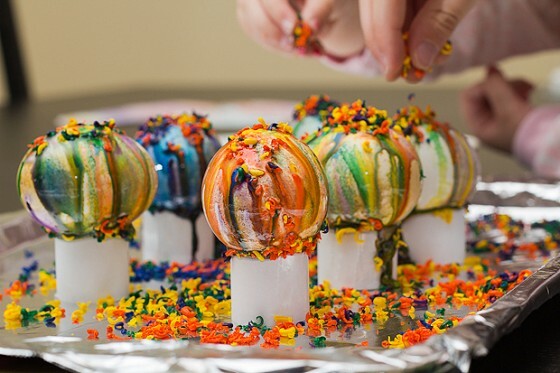 Dying eggs for Easter was always a tradition in mine and my wife’s childhood, so of course we have to do it for our kids! This year for Easter we decided decorate eggs a little differently though. We used crayons and paint instead of dye. 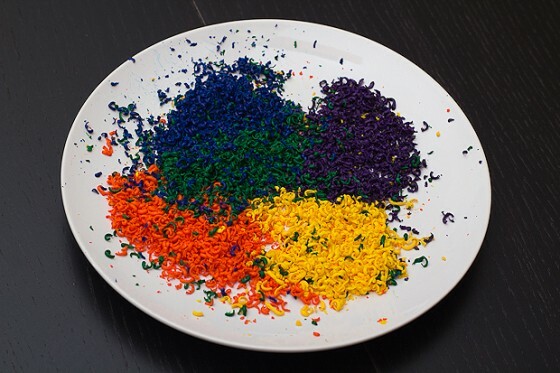 Grate crayons onto a plate (It is a little difficult recovering your cheese grater after running a box of crayons through it. Be sure to use one you don’t care too much about…or one your wife doesn’t care about). Create little paper tubes to set boiled eggs on. Place a sheet of foil on a cookie sheet. Boil eggs and place them immediately onto the paper tubes (on the cookie sheet). Be careful to not burn yourself, and be sure the kids understand how hot they are. 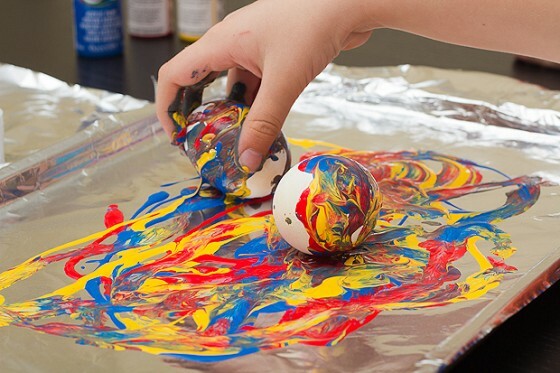 Sprinkle crayon shavings over eggs. Turn eggs over a bit, and sprinkle uncovered areas. Place the eggs in the fridge to finish cooling. Boil eggs and let cool in fridge. Make enough small paper tubes for every egg. Place foil on cookie sheet (this makes clean up easy). Drip acrylic paint all over foil. 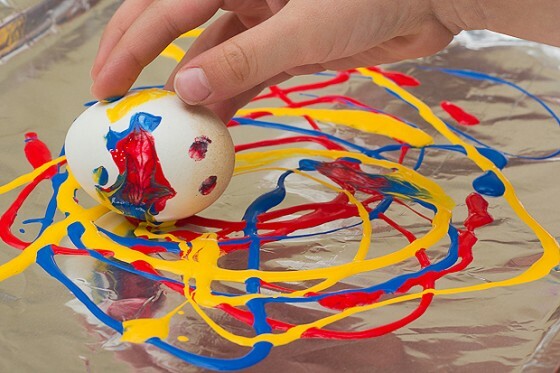 Let your kids go nuts rolling the eggs through the paint. They will get paint on their fingers…it’s ok! Place finished eggs on paper tubes. 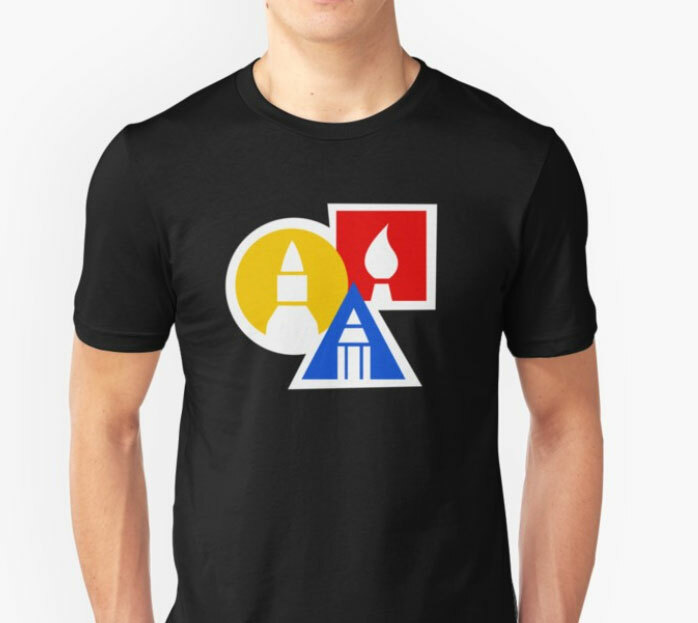 We used primary colors. Eventually these colors mixed together and looked like mud. If you use different shades of the same color, you’ll get better marbling designs. 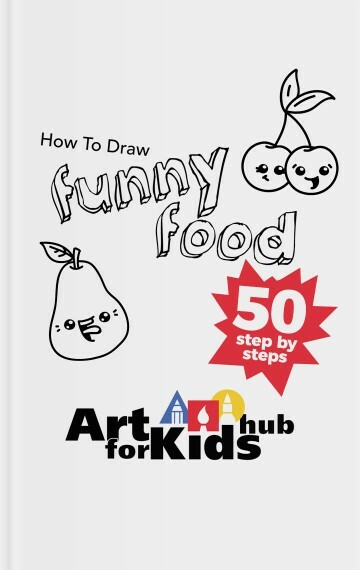 « 10 Art Supplies You Didn’t Know You Owned!